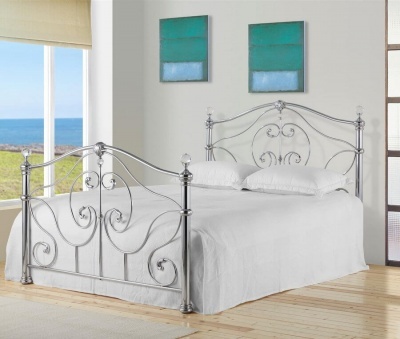 A fantastic bed frame for master suites. Impressive design with a fashionable appeal. The stone white finish works well with the chunky wooden tops on the foot and head boards. Choose to add the Elite Pocket 1000 to your order for extra value. The Elite mattress features a 1000 pocket spring unit with a hand tufted damask cover. 1000 gsm spring insulator pad, 800 gsm polyester filing. Quilted border with air vents. Depth 23 cm. Stone white is a similar colour to magnolia paint. Delivered flat packed. Full instructions included. Delivered in four boxes plus a plastic wrapped mattress if purchased. Part of the Portland bedroom furniture range.